First of all, the Riviera neighborhood in OC NJ is best known for its bayfront and waterfront homes. This is been a well-established neighborhood with not many homes for sale at any given time. This is because most of the residents have either lived or owned in the Riviera neighborhood for many years. It is one of the areas in Ocean City it really has roots established. The Riviera is truly a neighborhood/community of its own. 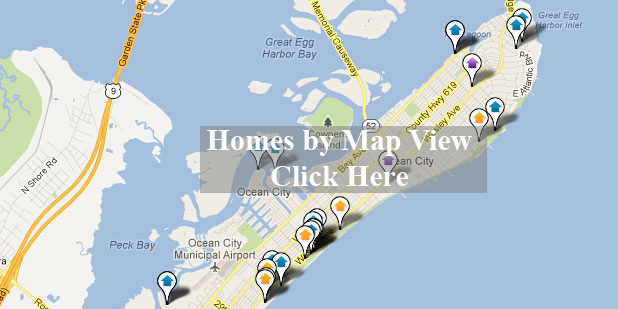 First and foremost all the home sit on large lots that are very rare in Ocean City. You will encounter large 100x50 foot lots. You may actually have to own a lawnmower if you live here. The Riviera neighborhood is also the highest elevation and all the Ocean City. For those that have above for boating, fishing, and water-based activities the Riviera would be a perfect place to call home. Expect to have either easy or direct Bay access. If you want to be directly bayfront and look for homes with even numbers on Glenwood Drive and Coral Lane. If you would like to see more homes for sale in the Riviera neighborhood, then click on the map above. The Riviera neighborhood is one of our favorite places in Ocean City. If any of the information on this page sounded a little bit biased, it might be because this is the neighborhood I grew up in. I know all the ins and outs and have the lucky enough to experience living in the Riviera neighborhood for many years. It will be challenging to find a realtor that is more knowledgeable than myself about this waterfront neighborhood.